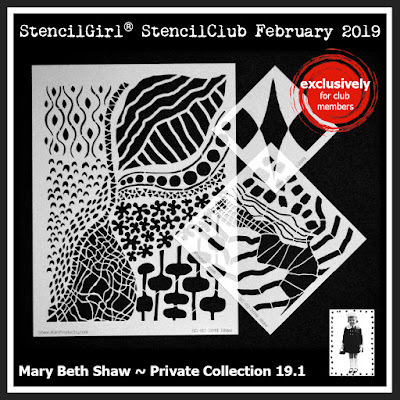 StencilGirl Talk: Mary Beth Shaw's StenclClub Member Exclusive Private Collection 19.1 is Revealed! Mary Beth Shaw's StenclClub Member Exclusive Private Collection 19.1 is Revealed! There were lots of requests from StencilClub members (maybe one came from you) for another set of stencils from Mary Beth Shaw filled with abstract shapes that wound around one another in a complementary way. Now they are ready to ship February 15th! Look at this playfully gorgeous little book Mary Beth has made! 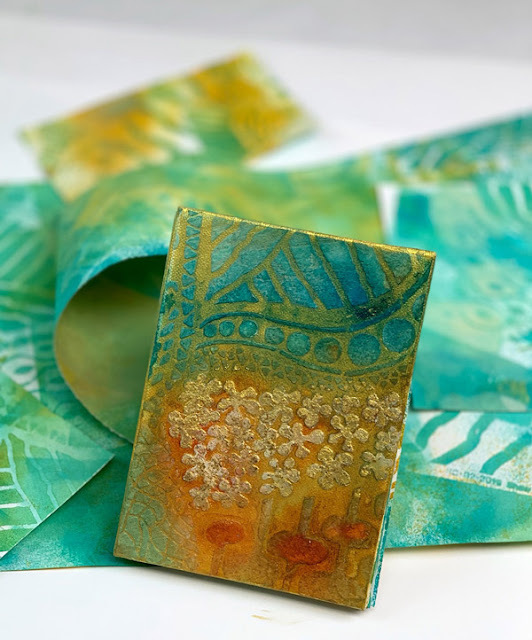 Members of StencilClub can follow along with her and make painted papers into a little book too! Want it bad? Join StencilClub now for $25 US, $35 International, and get not only these 3 really cool stencils but also a 20% off coupon code, the option to join our secret group on Facebook where you can engage with our art community, and gain access to past StencilClub tutorials and more! That little book is beautiful.